Learn about the work that goes into crafting up to 48 strands of leather and witness the taking shape of the Worlds Longest Stockwhip, that is a 10-year project. 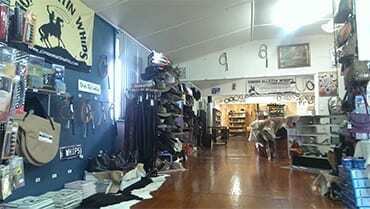 The retail shop offers a range of products which includes knives, R.M.Williams, Akubra’s, Leatherman’s, belts, handbags, boots and much more. Kids can even make their own bookmark, keyring or leather coaster. Don’t miss this unique experience while in Tasmania. Closed Weekends, Public Holidays and 3 weeks over the Christmas period. If you are traveling in a Coach, Motorhome, or Caravan there is plenty of space to turn around outside the store. Sorry I noticed that I gave Simon a 1 star rating not sure how that happened he is a great guy and his products are top quality!!!!!!!!! 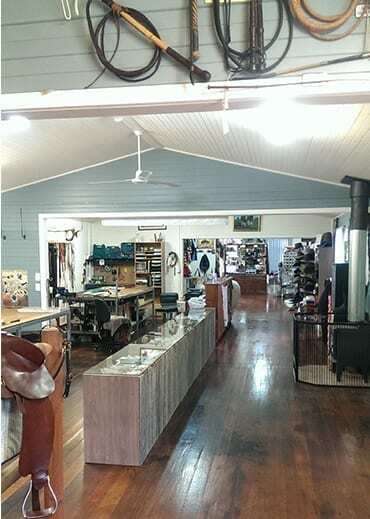 I bought a pair of dress boots from here last week and they are top quality.Forget RM s and other mobs who have all their gear made overseas and still want to charge you a fortune for it.This bloke has great stuff,made here in Tassie. Popped in with the kids, lucky enough to meet Simon in person. What a great experience and great bloke. Gave us a brief history of his whip making passion, how it started and even got one of the guys to cracking whip show!! It is an amazing shop! Local original business.